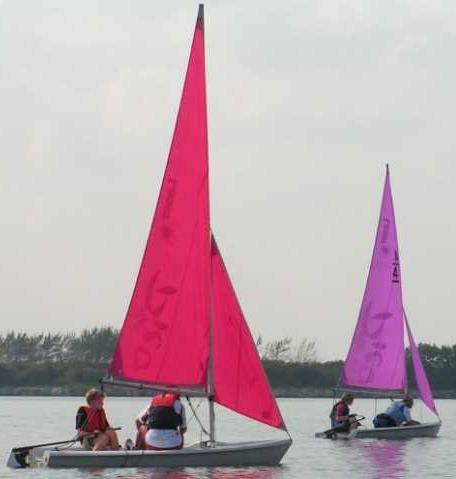 The Club owns a number of dinghies, including Picos, Toppers and an Access. 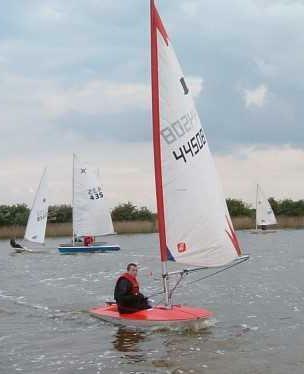 The Access is a sailing boat that was specifically designed to be suitable for disabled sailing. 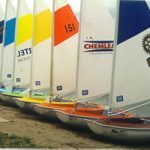 All these boats are available to hire to those members who would like to ‘have a go’ before deciding to buy their own boat. 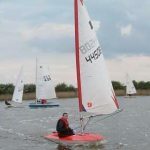 The Topper is a single Handed boat ideal for youngsters and beginners. The Rig is simple to master and the boat construction very durable. You can make the odd mistake and not break it! The Picos, may be sailed either as a single Handed boat or by a crew of two. It also has two rig options. 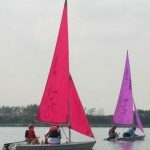 Single sailed like the Topper or with a Jib and mainsail as seen in these photos. The Access is a small and easily handled boat. It was originally designed to help disabled sailors take part in Sailing. 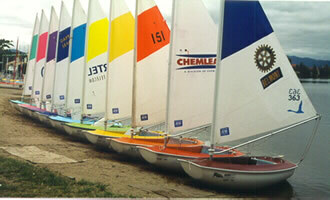 The club has one of these boats. Please contact us if you want to know more about it and what help there might be available to use it. We want to see these boats used as much as possible, they may be used for cruising around the lake or to take part in our racing program however please remember they are for the use and enjoyment of everyone so please note the rules below. Monies may be left in the cash box of the snack bar or handed to any committee member. If you experience any problems or notice any damage please write it in the Log. We can’t fix it if we don’t know about it!